I received this card and matching envelope from my upline, Winona. 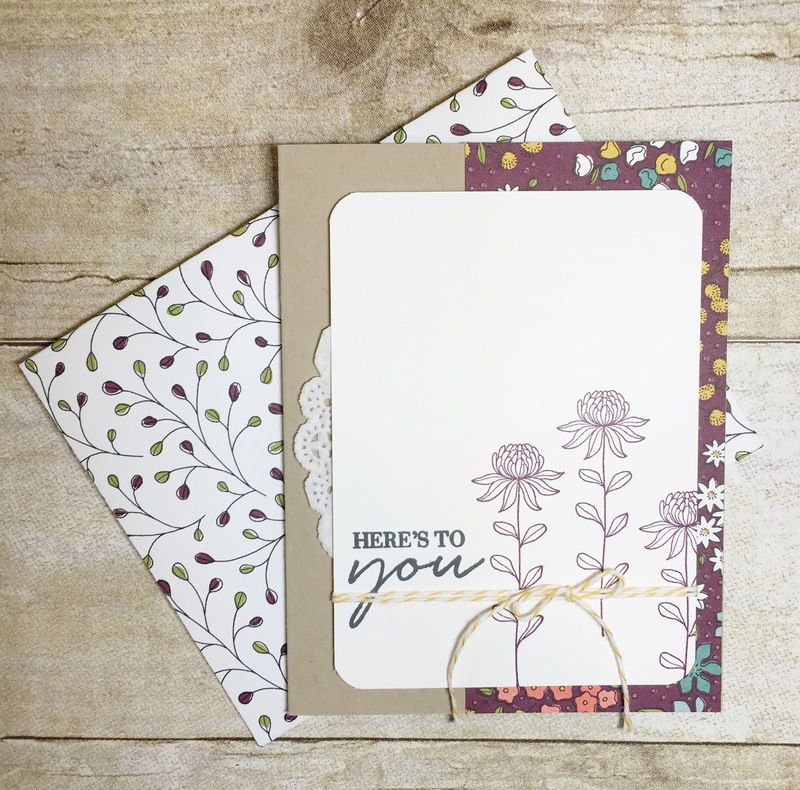 I can't get over how much I've been enjoying this Flowering Fields stamp set. I'll be sad when Sale-a-Bration is over and I won't be able to use it anymore. The simplicity of the images is just stunning! And the fact that it has coordinating dsp makes it even more appealing! Don't forget that you can pick up these products for free with a $60 ($120 if you would like both) but only until March 31st! And with your online purchase, you will also receive the Rose Wonder Card Collection tutorial! 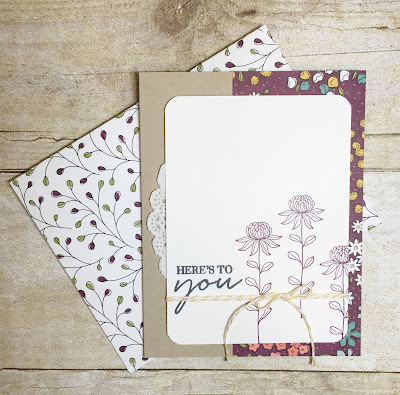 A step-by-step tutorial to create 4 cards using the beautiful Rose Wonder bundle from the occasions catalogue!